Comparing the soils of Spain! Sunday I challenged you all to pick up a couple of foods and compare them. Whether they were different foods from the same location or the same food from different locations. I chose to do different foods from the same location, Spain! Now, aside from being a beautiful country full of fantastic architecture, and immense religious and historical significance; Spain has a long history of a being a popular food destination. 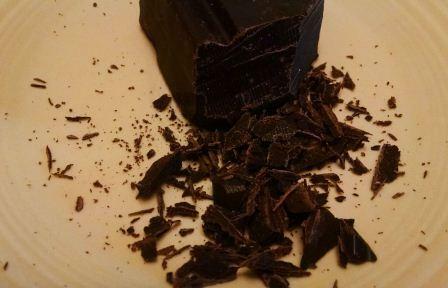 The country is well-known for its varied and creative cooking styles, in fact, they were the first to add sugar to natural cocoa, giving us the chocolate we know today. 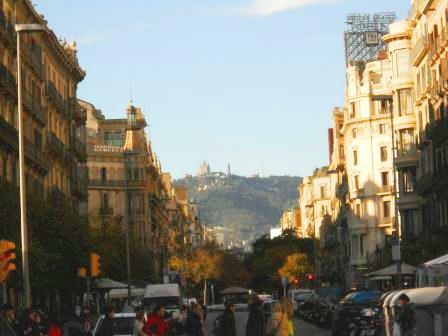 Spain is recognized as the birthplace of Tapas, and they produce everything from apples to wine. So, I decided to pick a few popular food and beverage exports from Spain to compare for you as my entry to my challenge. So, I went on a field trip to my local specialty foods store, Feast, to scope out some options. I came home with cheese, chocolate, and Marcona almonds, and I will also use some of the samples I have from my company. I don’t have the specific regions where all of these were grown, but I do have a general idea at least for most. So, we shall see what we notice. Spain is well-known for a variety of cheese styles. The two I know best are Manchego, and Tronchón, and Manchego is my favorite cheese over all cheeses, so that is what I’m going with here. Manchego usually hails from Castile–La Mancha, and this one that I picked up at Feast in Charlottesville is no different. Manchego 1605 is made from Raw Sheep’s milk, from sheep raised in Ciudad Real, and I think that will better allow us to taste the effects of the terroir. Obviously, here, clarity is not a factor, and the brightness is obviously dull. The color is a pale, straw shade with a green hue. There is a slight rim variation and evidence of gas, which isn’t surprising, but no sediment and no color extract. The cheese smells clean, with a medium intensity, youthful nose. 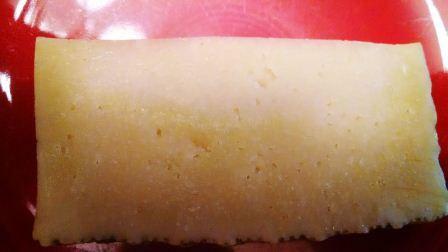 Look at that beautiful rind! I pick up a predominant scent of ripe oranges and honey suckle with a sprinkle of salt. Like I mentioned, Manchego is one of my favorite cheeses, so I know what to expect in the way of flavor, fresh squeezed lemon, fresh herbs, saltiness, and the sensation of olive oil. This one has an especially fantastic mouth feel, and there is an interesting quality of clay soil that lingers on the finish. I would say over all this cheese has a median complexity. While at feast I also picked up some Marcona almonds, also known as the “Queen of Almonds”, and normally are grown in the Catalonia Region which is the north-eastern tip near Barcelona. 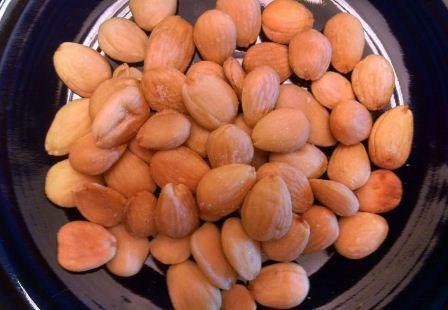 I’m not usually an almond fan, or a nut fan in general, but it seemed like an interesting option, as they have recently gained popularity throughout the states. These are sold roasted with a light coating of sea salt, which should enhance the natural flavors. Again, clarity isn’t a factor, and the almonds barely reflect any light. The color is a pale straw again but with a pink hue this time. I was very surprised to note that there was an obvious rim variation, I will get a picture up later to show you, but the outside is almost tan, the inside is more white and then there is a brown bit in the very center. I detected no gas evidence, sediment, or staining. The scent was mild, and clean. I picked up notes of aged cheese, salt, and chalk. The nuts were definitely dry and had surprising tannin compared to other nuts I’ve tried. No acidity or alcohol were noticed. The body was very creamy but low to medium weight. I did not detect any fruit notes, but I did get the sensation of Olive oil on the palate as well as salt, and clay soil. The flavors lingered so I would say it had a medium finish and a low to medium complexity. The third and final thing I picked up from Feast was a chunk of dark baking chocolate. There is not a location of origin on this one, but its an interesting comparison all the same, especially considering last weeks challenge. The chocolate here is opaque, dull and a dark brown color with a blue hue. There was minimal rim variation, no gas evidence and no sediment, but it did leave a notable stain on my piece of paper. It smelled clean and fresh with a medium intensity nose that carried hints of strawberry and baked cherry as well as baking spices, such as, clove and cinnamon. I also noticed a hit of potting soil on the nose. On the palate, this chocolate was definitely sweet, with medium to low tannin and acidity and not even a hint of alcohol. The over all body was light with notes of under ripe blueberry, cinnamon, baking spices, soil and chalk. The flavors didn’t stick around very long and I felt the complexity was medium to low. I also chose to compare some of the things I already had at home. I sell quite a few products from Spain including a line of wines and olive oils grown in Granada Spain, by Veleta. The olives used in their oil are the Lechin variety and they are specifically grown in the Sierra Nevada Mountains in Granada, Spain. I poured a small amount into a custard dish. It was a clear, day bright, somewhat viscous liquid with an intense yellow highlighter color with a green hue. 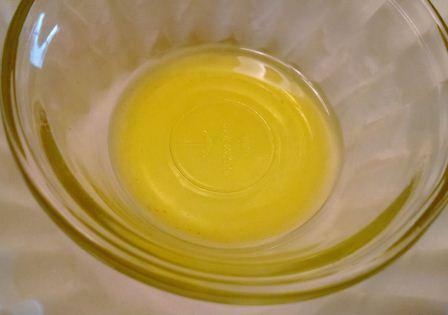 There was no rim variation or gas evidence, but there was definitely sediment in the bottle, if not in my little dish. The oil had a medium intensity nose that smelled fresh and clean with notes of freshly squeezed lemon, olives, fresh herbs and sun-baked dirt. (I normally taste olive oil with little bits of bread, but this time I opted to try it solo, which I will admit is pretty weird.) On the palate, the oil tasted dry, with low tannin, acidity, and alcohol. Over all the body was pretty light, but the notes of fresh squeezed lemon and olives was still there, as were the now more obvious herbs, rosemary and thyme. I also picked up flavors of wet stone on the finish. The flavors didn’t stick around for long and over all I find this olive oil to be very simple. Which, in my opinion, makes it great for cooking. It’s been a while since I’ve talked about wine on here, so I figured this would be a good time to add one in and really drive my point home. 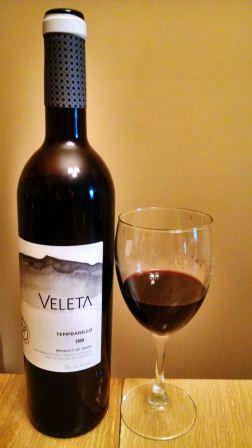 I chose a 2009 tempranillo from Veleta’s line. The grapes are grown in the Alpujarra mountains of Granada, Spain about 650 meters above sea level. The wine was a cloudy, but highly reflective deep ruby-red with a blue hue. I detected no rim variation, or gas evidence, but there was a little sediment floating on the top, possibly pieces of cork. There was also obvious staining and a fair amount of legs. On the nose, I immediately picked up a hint of corkiness, which put me off, but I coravined the wine, so there was no way to tell if the cork itself was faulted. The nose seemed older and had a medium intensity with hints of fresh raspberry, cherry and plum, as well as intense herbs and alcohol smells. I could not pick up any organic or inorganic smells, and even though I know the wine was aged for a year in oak, I couldn’t pick the indicators out of the nose. On the palate I did not pick up any fault. The wine was bone dry with medium to high tannin, acidity, and high alcohol. (not surprising since the wine has 15% ABV) The body over all was substantial, I would say medium, with notes of under ripe cherry and raspberry, vanilla, herbs, and again an overwhelming since of alcohol. I also picked up notes of stone and chalk. The vanilla notes indicate the presence of American Oak, probably new in its second or third use. The finish definitely lingers for a while and I would label this wine a medium complexity. Spain is a very large country with varied soil types and weather patterns, and many of the products I sampled came from diff erent regions, making it more difficult to note any similarities in flavor profiles. It was interesting to note that both of the products from the mountainous region of Granada had notes of stone and fresh herbs on the nose and the palate. Also, that despite coming from different regions, the cheese, olive oil, and almonds all had a hit of clay soil. I noticed inorganic aspects in almost all of these products, which would indicate they come from a similar region and the production styles on the cheese and almonds is very similar with the added salt. I would even consider going as far as to guess that the chocolate probably came from a similar region of Spain as my wine and olive oil since they all had more of a chalky, herbaceous quality than a fruity quality. I would love to hear if you accepted my challenge, and what your findings were! Please post below.